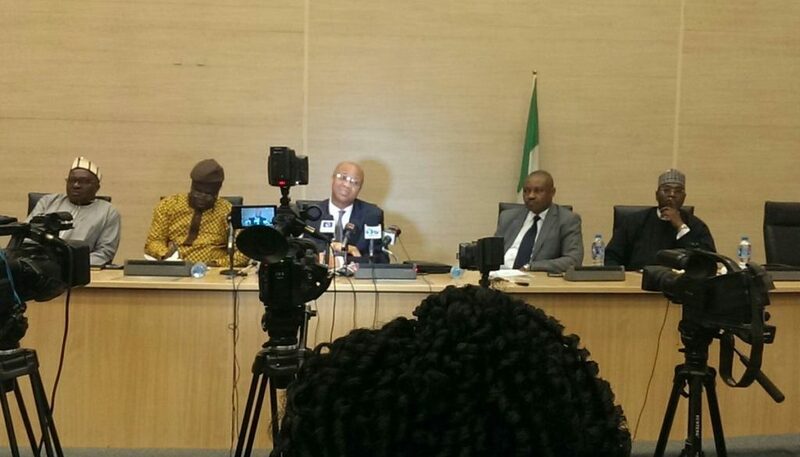 On 23 February 2017, the Director-General (DG) of the Budget Office of the Federation choreographed a media briefing on several issues surrounding the 2017 Budget Proposal. The DG also used the briefing to make certain clarifications on public outcries over several budget items on the proposal. Most of these outcries were on many frivolous items (especially on electricity and utility bills of MDAs; several humongous expenses on the state house budget on utensils and feeding, electricity bills, travel expenses etc. ); repetitions of budget items; budget cycle crisis; the budget preparation expenses; lack of details on some of the items; budget padding etc. 1). He stated that there was no sort of budget padding on the 2017 budget proposal. 3). He stated that there were no repetitions on the proposal, unless the repetitions being referred to were budget items on the 2016 one that re-reflected on the 2017 proposal, which was as a result of the fact that funds were not provided for such items on the former. 4). He reassured the audience of his liaison with the National Assembly to ensure that budget cycle would be from January – December of every year, which was clearly stated on the constitution, as against the culture of having a previous budget being implemented in another fiscal year. 5). He also explained that the details-deficit on some of the budget items were as a result of the perspective to keep the budget simple, for public consumption. That however that his agency would ensure further details on budget items when preparing subsequent budgets. Representing Connected Development (CODE) at the event, I further engaged the DG and raised concerns over the NGN305/$ calculation on the budget proposal (while $1 is valued at NGN 520 at the contemporaneous market); if there are extensive plans for enhanced transparency and accountability in the 2017 budget implementation; our expectancy to lay hands on the 3rd and 4th quarters’ reports of 2016 budget implementation; his plans to ensure that revenue realization deficit would not frustrate the 2017 budget implementation drawing on the country’s experience with the 2016 one; and getting access to an extensive version of the budget that had further details on some of the line items. For the latter, I mentioned the ‘Talking Sanitation’, as well as ‘Afforestation’ and ‘Tree Planting’ budget items on the proposal, under the Ministry of Environment, which all lacked details such as where and how. Lack of such specific details has frustrated the works of CSOs that are into governmental capital expenditure tracking. In addressing my concerns, the DG made commitments that were all in line with Nigeria’s commitments on the Open Government Partnership. He stated that the 3rd quarter 2016 budget implementation report would soon be in public domain while the 4th quarter’s would soon be out too. He further stated that there would be increased transparency, accountability and citizen engagement in the 2017 budget implementation. On this, he cited plans to have a digital platform for 24/7 citizen engagement on the budget. He also mentioned that there would be a breakdown on project basis subsequently when funds are released to MDAs. In addition, he promised a quarterly media briefing on the 2017 budget implementation. These were all good news and great outcomes for nonprofits that are into Open Governance advocacy. He mentioned categorically that the revenue realization plan on the proposal is quite realizable and that the FOREX regime crisis would not affect the budget implementation. CSOs Engagement with the Minister of Mines and Steel, our take home. Tax Treaty. Training by ActionAid. My Experience.